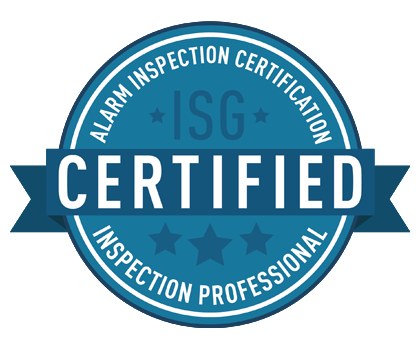 Our inspectors proudly participate in the Alarm Inspection Certification program from Inspector Services Group to become Certified Inspection Professionals. Through specialized educational courses, our inspectors strive to offer your protection and insight when evaluating your home alarm monitoring system that others simply can’t compete with. We can offer you adetailed Alarm Inspection Report with your home inspection to let you know exactly how your safety stacks up.